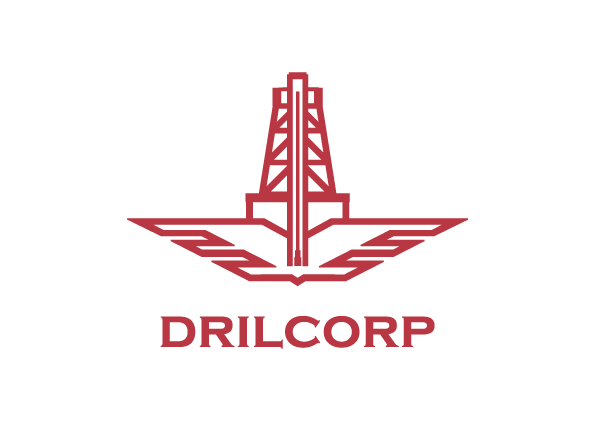 Drilcorp has designed and built a unique fleet of Track Mounted Air Compressors (T,MAC) which it offers for sale or hire. The Company also hires high pressure pumps, settlement tanks and specialist drilling equipment. The Company has designed and developed a range of T, MAC self-propelled track mounted air compressors for sale or hire. T, MAC features rubber tracks and is specially designed to minimise damage to delicate site surfaces. The units are highly manoeuvrable in restricted built-up areas and provide an ability to reach locations on even the most difficult terrains. Quickly loaded and unloaded onto transport. Quickly positioned on site in restricted areas. Quickly moved over difficult terrain. T, MAC is self-propelled, on tracks and powered by the compressors diesel engine. T, MAC is a major advancement in site safety. The operator stands clear while the remote controls move the unit. T, MAC has rubber coated vulcanised steel tracks. Low ground pressure preserves soft ground and the rubber coating ensures tarmac and roadway are not damaged. Not only has T, MAC eliminated the need for lifting and on site towing equipment, it will actually tow other equipment. T, MAC complies with EEC noise regulations. Electronic engine management ensures fuel economy and minimal carbon emissions. All components of T, MAC have a long history of reliability. The Ingersoll-Rand diesel powered air compressor was chosen for this reason. Special reliability-enhancing features are incorporated: e.g. an in-line primary fuel/water separator, a secondary fuel filter, and low fuel shutdown to eliminate engine bleeding and pump and injector damage. Click the link below to download our Service Information.